I have learned to love asparagus. As a kid, it was my least favorite vegetable. I’m pretty sure I made my little sister eat most of my share, sorry Elise! Then one day I had baby asparagus, the thinnest, most tender little stalks lightly steamed and tossed with butter, lemon and salt, perfection! Larger asparagus is great for the grill and you can even take a peeler to the ends to get rid of the toughest fibers. 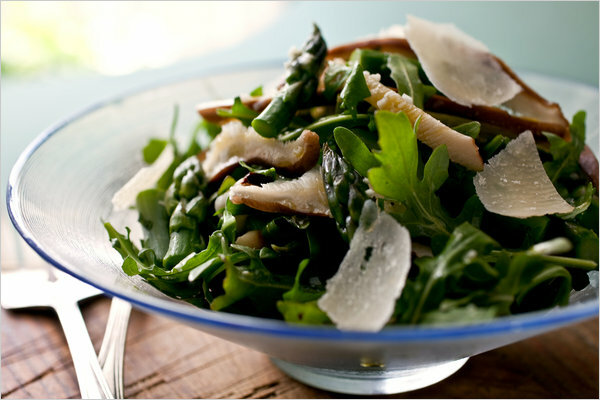 This recipe from New York Times writer Martha Rose Shulman is an awesome summer salad. Asparagus is an excellent, low-calorie source of vitamin K, folate, vitamin C, vitamin A and such nutrients as tryptophan, manganese and fiber. If you live in Massachusetts then you know that we also refer to asparagus as Hadley Grass as the area is famous for its abundant and superior asparagus. 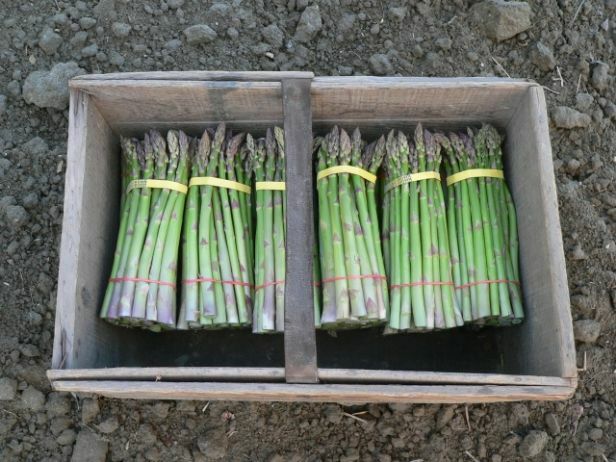 This is a link to a Saveur article on what was once the asparagus capital of the world! It’s worth the read and the trip to Hampshire County. Advance preparation: You can assemble this several hours ahead through Step 1 and refrigerate. Toss with the dressing shortly before serving. This looks really good! And it’s healthy eating without even realizing it.